The O2018-White porcelain overmount sink is made from true vitreous China which is triple glazed and triple fired to ensure your sink is durable and strong. 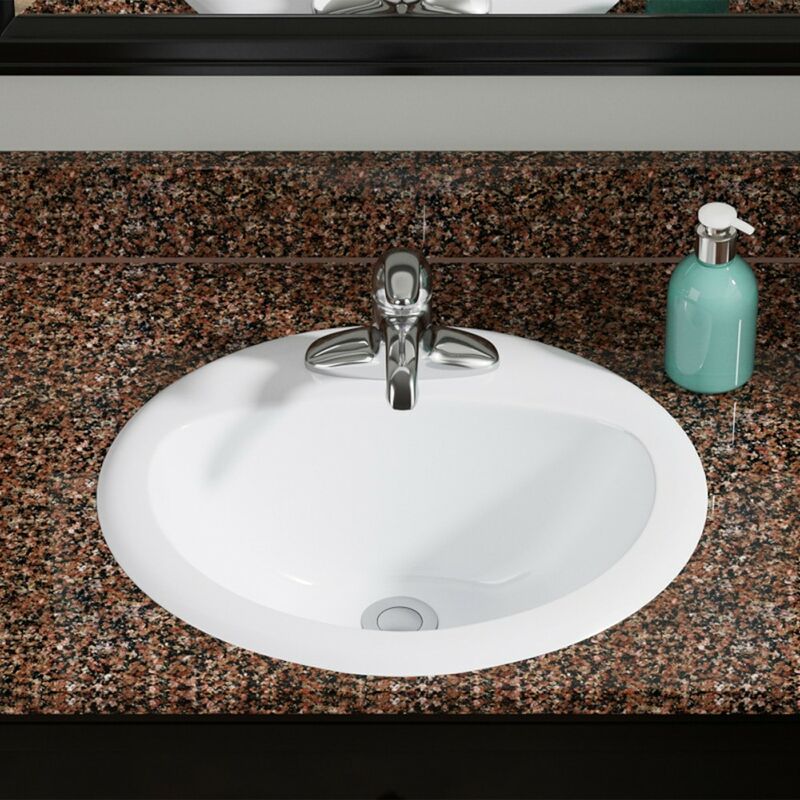 An overmounted vanity sink is traditionally found in most bathrooms and can be used with any type of countertops. The overall dimensions for the O2018-white are 20" x 18" x 8 1/2" and requires a 21" minimum cabinet size. Pop-up drains in a variety of finishes are available with this sink model. As always, our porcelain sinks are covered under a limited lifetime warranty for as long as you own the sink.